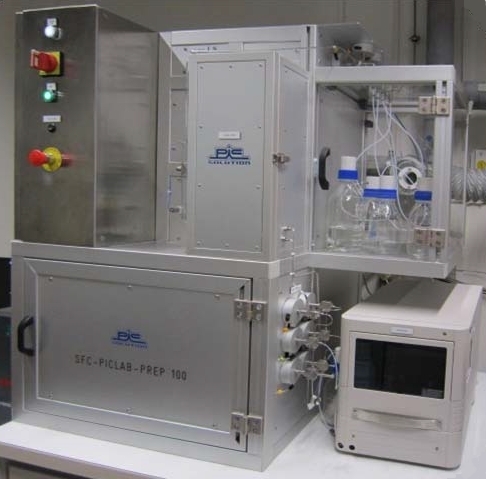 Compact benchtop prep SFC system at 100ml/min with complete custom configuration of the system. Ability to download lab scale SFC developed method. 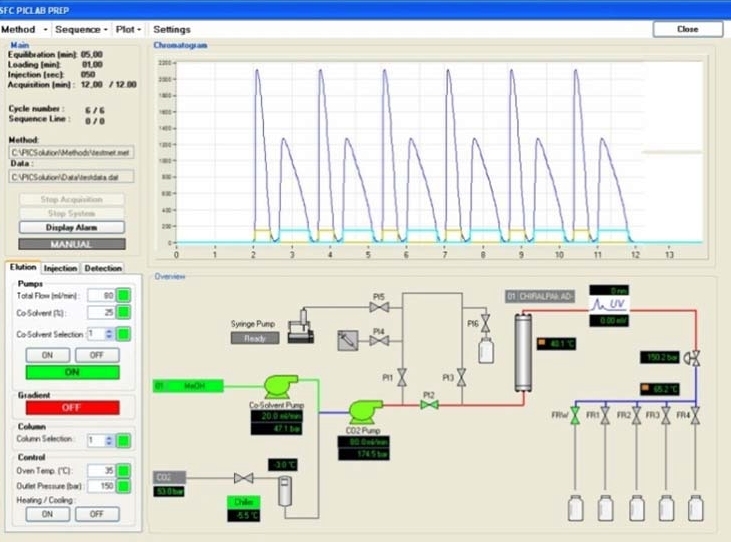 Stand alone Process Logic Control(PLC) for fast and reliable system regulation, independent of Data Station shutdown. Full flexibility in fraction separation parameters via selection of detector threshold, chromatogram time etc. Injections can be manual injection, sample syringe pump or autosampler, including stacked injections. On completion of a separation run, the Data Manager will create a run summary with chromatogram trace, overlays and printing of fraction collector data. High precision solvent composition and retention independent of the system pressure by co-solvent pressure equilibration prior to mixing. Separates a range of analytes to selectable purities via peak cut-offs.